I'm down. I'll "partner" with anybody on here. the vid tells me nothing. i wonder what the new reqs r gonna be? something riduclous like front levers with 6 people hanging off you? what on earth is this about? i've no idea about this video on there channel philpot. and why do we have to find 6 people? i train alone - so how am i gonna do that? It can be with people online too, don't you get it that becoming a barbarian is about more then simply completing the requirements, it's about working with others to collectively become stronger. That doesn't explain the whole challenge the barbarians part. yeah it matters, I'm always working on requirements, would be good to know what else is involved to work on that too. Without the videos and community i would be nothing. 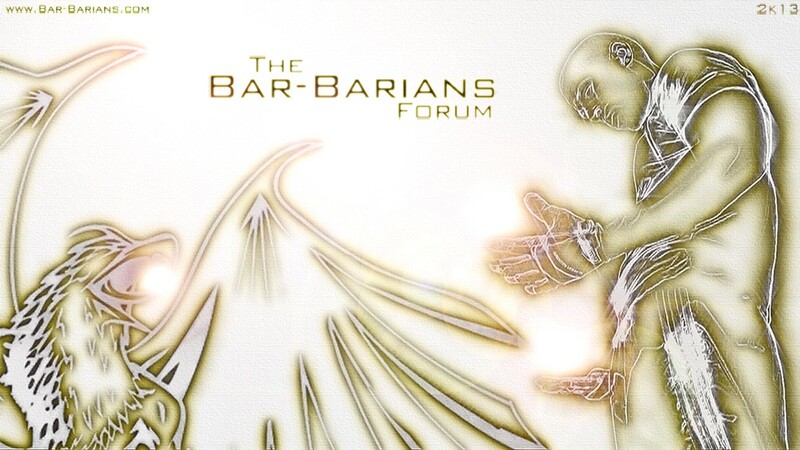 My drive to be a bar-barian keeps me going, and the videos not only inspire me, but they teach me. Ive learned many valuable things watching people years down the road. Ive especially picked up on certian things from zef and nirose, who are probably my two biggest sources of inspiration. Hell, without this cite, id still be lifting weights. i meant to write wouldnt not 'would'.